Snowsports gear: rent or buy? Let’s face it: snowsports aren’t cheap. There’s a lot of stuff you need to enjoy the snow. It’s a cold, fast, active sport and like any other sport has a ton of gear, most of which you’ll spend accumulating and upgrading over a lifetime of enjoyment. You can rent from a variety of rental stores in the resort where you stay, or even have gear delivered to your hotel on your holiday. 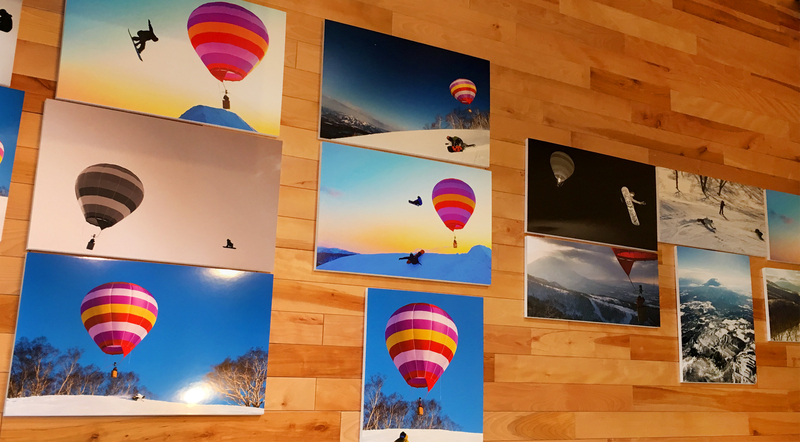 Or, you can purchase in your home country, in Niseko or anywhere in between. So how do you decide which is good for you? Snow Wear: water, snow and weather proof pants and jacket that will keep you dry and warm while you’re speeding through the snow hills. Gloves, Goggles: pretty much essential body coverings. Face masks, neckwarmers: needed to keep the cold out and protect you from the wind. Not needed on sunny days / in warmer resorts, but you’ll need them in Niseko. Helmet: protects the head. Use if you don’t want a concussion. Wrist Guards / Body Armour: hard protective pieces you can wear on wrists, butts, etc to minimise injury. Not essential but some people do swear by them. Boots: The specialised footwear you need to connect to your skis/snowboards. Retails: ¥20,000+, changes depending on lacing technology / features. 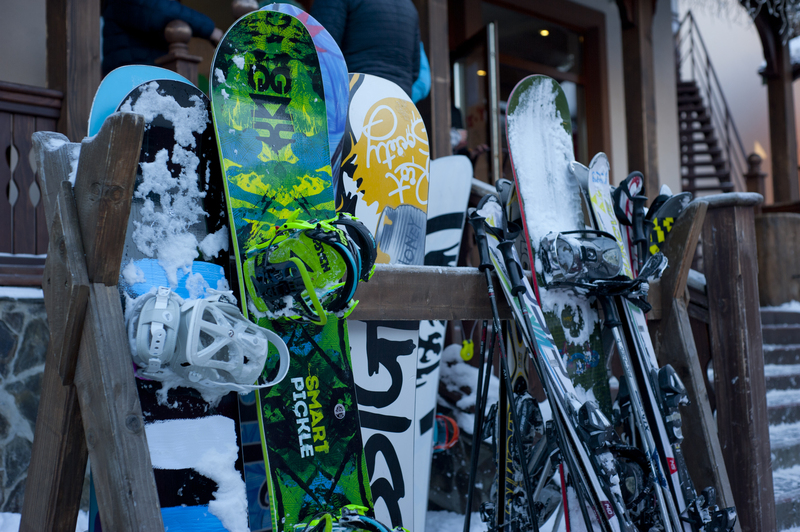 Bindings: Something that attaches your specialised footwear to the ski/snowboard. Necessary and easy to forget when you’re used to renting! Snowboard / Ski: the thing that interfaces you with the snow, to get you down the hill in fun and enjoyable ways. Let’s say for argument’s sake that skis/board, bindings and boots set you back ¥100,000 (just over $1,000 USD). 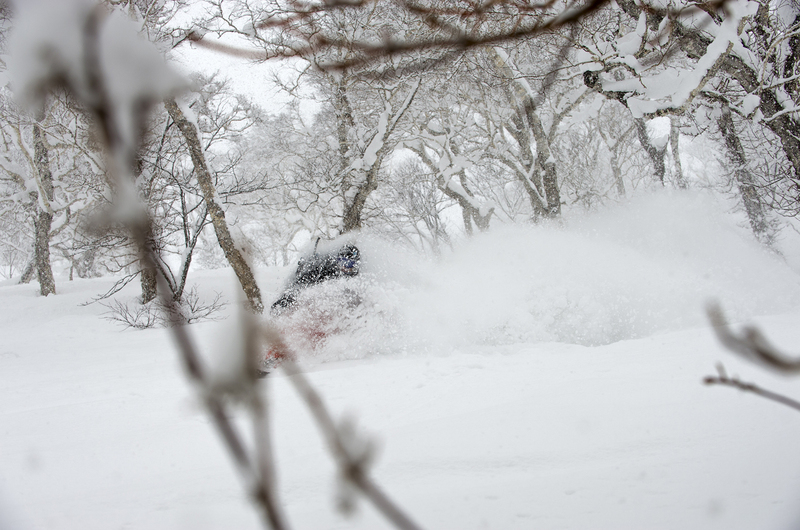 Five day rentals with snowboard, boots and bindings included is priced between ¥21,000 – ¥24,000 throughout Niseko for premium rentals. Can’t rent this look: If snow fashion is what you’re about, renting ski wear might not be for you. 1. How much will you ski / board in the next 3 years? Ok, so you love the snow. But what if your work schedule or schooling is making travelling unlikely in the next 12 months? If you see yourself heading to the mountains 2-3 times a winter, every winter, then you’ll have paid off the price of your gear in 1-2 years. If however you’re not sure when you’ll next get the chance, it might not be the time. 2. Are you new to it? We’re not here to judge. If you’re a total beginner, renting is a great place to start. You’ll have a good set of gear suited to that resort’s conditions, and (hopefully) an instructor to help you through the bumps and grinds of your first few rides. And if it turns out you hate skiing, you can put that money aside for hot cocoa and massages instead. 3. How much room in your attic? If you’re renting or moving often, skis, snowboards and winter wear are going to add a lot of bulk to your life. If you have a permanent home with lots of room for storage, however, you can buy a nice set of skis that you’re comfortable with and dust them off every few years when you go to the snow. 4. How much does looking good matter to you? Here’s one for the fashionistas: when you rent, the store won’t offer a wide variety of looks. Often rental providers stick to one colour for one clothing size, to avoid endless choices – if appearances matter, you should buy your pants & jacket. 5. How comfortable are you with being uncomfortable? Each time you rent, you’ll be using a different board and a different set of shoes, that many have used before you. You’ll need a bit of time to grow comfortable on that board, and your boots won’t always be a perfect fit. 6. Can you actually rent it…? For gloves, goggles, hats and facewarmers the answer in some rental stores is actually NO! If you’re looking to spend more time on the snow in the future, these are good items to buy to vastly increase your comfort level, that aren’t too bulky to take with you on each ski trip. 7. And most important of all: Do you need it TODAY? After all, snowsports gear improves and evolves every year. You might not know until after your vacation if you’re really ready to throw money into the sport. That’s cool, go and enjoy the snow on rental gear this time around. If you’re dead keen, wait until the end/start of the season for some cheap end-of-season deals in your home country. If you’ve committed to buying your snowsports gear, or are thinking about buying some, here is another way to think about it: we’ve divided all the gear you need up into the order in which you should buy them. To start with, things you should bring that you should already have at home. These are clothing items that aren’t specific to snow or snowsports, that can make your time in resort much more comfortable. If you don’t have these clothing items, you can buy something suitable at many clothing outlets. Thermal underwear: long leggings/blouses that are made to trap the heat in and let sweat out – great to wear under your ski gear when you’re skiing, also wearable under jeans and shirts to make the cold more bearable. Warm jumpers: you’ll need a good mid layer in between your thermals and your ski jacket to maximise warmth and comfort. You’ll be getting sweaty in a cold climate, so it’s best to wear clothes that don’t get cold when wet: choose wool over cotton. Scarves, hats and gloves: these little items can make a huge difference, plugging in the gaps in your clothing where the icy cold air can get in. A scarf that is compact enough can be worn while skiing, too. Thick woollen socks: to keep your feet warm and to help pad out your ski/snowboard boots, thick woolly socks are an essential item. Once you’ve packed the above, it’s time to look at the snow gear you need to collect. Goggles: surprisingly most rental stores don’t offer goggles to rent. You can get by with sunglasses in warmer resorts, but in Japan snow and moisture often mean cold winds and low visibility – so it’s best to cover your eyes. Most rental stores will sell cheap goggles at ¥2,000-¥3,000 a pair. Gloves: most rental stores won’t rent proper waterproof ski/snowboard gloves, although a few do. If you ski you can get away with fluffy mittens from the souvenir shop but if you snowboard expect to be touching the snow a LOT – snow is only soft and fluffy until it touches your body and melts. You’ll need your hands warm and waterproof. Beanies/hats: a lot of your body heat escapes from the head, hands and feet. You’ll need a woolly hat to keep you warm if you ever spend time outdoors in a ski resort anyway, and again few places will have these available to rent: so get yourself a warm hat you can use while on the slopes and off. Face masks, scarves, neckwarmers: these are rarer to find for rent than goggles and gloves, and they can make a huge difference between enjoying and suffering on the slopes this winter. The scarf you’ve already packed (see above) may be of help, but if you’re still feeling uncomfortably cold around the neck region then invest in one of these and you’ll see a huge improvement. Items you should consider second can usually be rented but will provide you with a great deal more comfort if you buy your own. If you’re ready to start purchasing your own set of snow equipment, these will be the first items you can cross off for your collection. 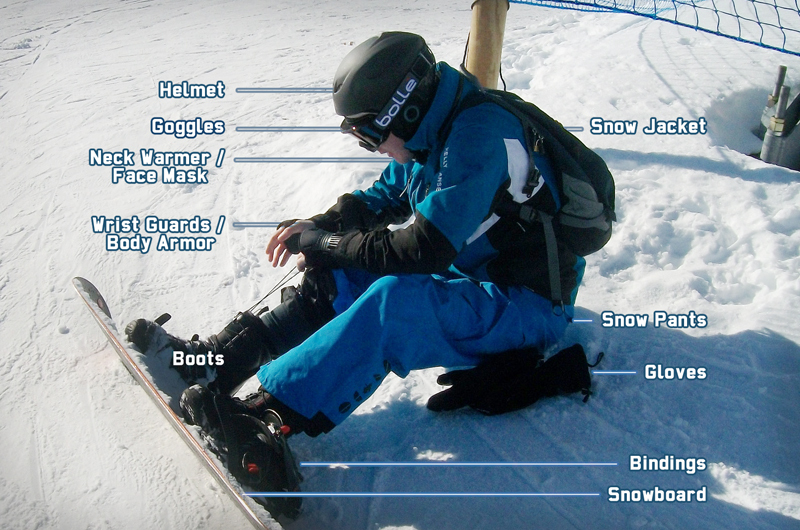 Ski jacket & Pants: You can choose levels of waterproofing, heat padding, powder skirts and lots of bells and whistles. Essentially all you need is a waterproof, windproof, sturdy and warm jacket and pants that will provide some protection if you fall. High-quality ski gear will use waterproofing that allows sweat to escape. Most importantly, you’ll be fashionable – and you’ll have something warm to wear when you’re travelling around wintery Japan for the rest of your trip, too. Ski/Snowboard Boots: of all the board-boots-bindings trio, your boots should be the first gear item you buy. Not only can they fit in your suitcase, but they’re the most likely item to cause you stress when you rent. Boots have soft interiors that are slowly flattened by repeated use. When you rent you’re sharing boots with the hundreds of people who came before you. Your boots will be harder, and not always comfortable even at the right size. Uncomfortable boots can wear out your feet, cause pain and even injury. They also take time to fit. With your own boots, they slowly mould to your feet and save you from a lot of issues at the rental store. Maintenance isn’t a big effort either. Helmet: If you’re serious about head protection, this will be a good one to get right early. Helmets also fit in a suitcase, work better when they’re only “worn in” by you, and as they get a little worse at looking after your head with each punch they take, your own is a good way to guarantee maximum safety. Snow-friendly Shoes: if you walk for any length of time, most ski resorts in Japan do not have under-pavement heating. Expect that you’ll need to walk through ice, sleet, and piles of snow that sink under you. Luckily a pair of gumboots will do in a pinch. Snow-friendly footwear can also be rented at some rental stores. Last are the big-ticket items. Do your research, decide your price point, and try everything on your ski holidays until you find a board/ski setup that you like. Talk to your ski technicians, store clerks, people you ride the lift with – everyone will be a source of knowledge. There is a huge range of specialised gear targeted at every type of skier or snowboarder. From major world superbrands to local handmade gems, the choice is endless – so ride every board and ski that you can until you find THE one. Board/skis: the pit is bottomless with this one. Once you do narrow down the board you want, study the art of maintenance and make sure you treat your baby right to have it last many seasons to come. Bindings: best bought along with your board/skis. Make sure they fit your boot setup and make sure the bindings fit the board/skis as many will be incompatible. If you buy at a retail store, most stores will fit your bindings to your board/skis for free. If you bring your own, they will charge you. Board Bag: Now that you have the full kit, it’s time to invest in a nice board bag. Board bags come in a range of sizes and prices. If you get the right bag you’ll have pockets for helmet, boots and ski wear, so that all your winter gear can live in one simple compartment. Once you’ve gone this far, always check your airline’s policy on oversize items / sporting gear and factor that in when you book flights. Hope that made your choices easier! Now that you have a list of things you probably should buy this time around, we also have a little tip list for you for the things you should remember to pack in general. If you don’t own these, you can pick them up at any hardware store or supermarket.